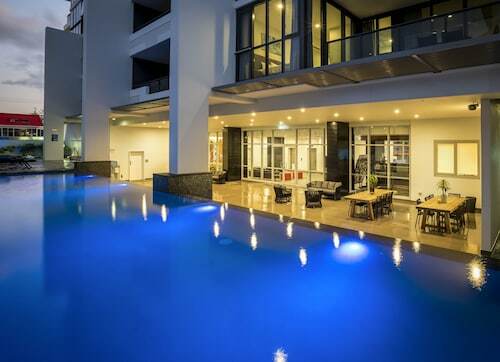 Located in the heart of Broadbeach, this apartment building is within a 5-minute walk of Oracle Boulevard and The Oasis. Gold Coast Convention and Exhibition Centre and The Star Gold Coast are also within 10 minutes. Broadbeach South Light Rail Station is 7 minutes by foot. 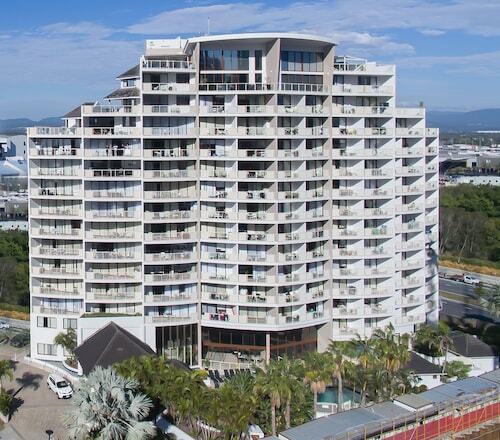 Situated near the beach, this apartment building is steps from The Oasis and Gold Coast Convention and Exhibition Centre. 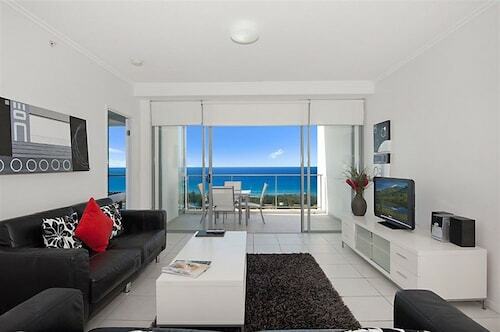 The Star Gold Coast and Kurrawa Beach are also within 10 minutes. Broadbeach South Light Rail Station is 10 minutes by foot. 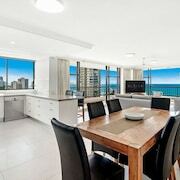 Situated near the beach, this luxury apartment building is within a 10-minute walk of Dracula's Queensland, Pacific Fair Shopping Centre, and The Star Gold Coast. 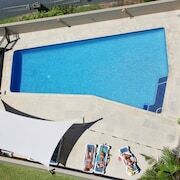 Kurrawa Beach and The Oasis are also within 10 minutes. Broadbeach South Light Rail Station is only a 3-minute walk. 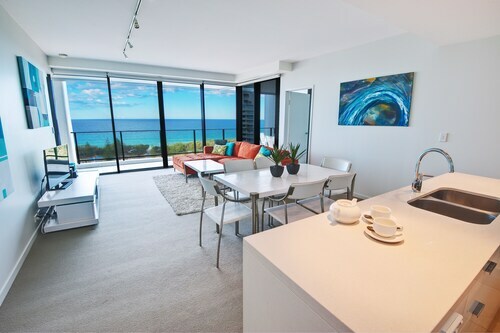 Situated near the beach, this luxury apartment building is within a 10-minute walk of Gold Coast Convention and Exhibition Centre, The Star Gold Coast, and The Oasis. 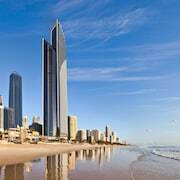 Pacific Fair Shopping Centre and Surfers Paradise Beach are also within 1 mi (2 km). Broadbeach South Light Rail Station is 12 minutes by foot. 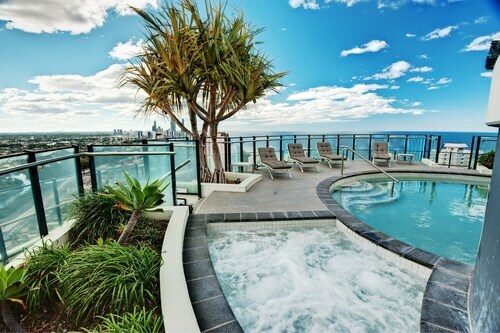 It is to be found in Gold Coast. Curious as to where that is? You'll need to drive 75 kilometres from the state capital, Brisbane. 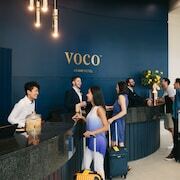 You can go for a short walk in almost any direction from The Star Gold Coast and end up at an amazing hotel. There are as many as 53 available within a kilometre. 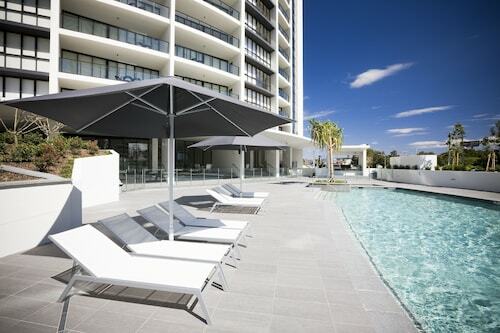 Why not have a look at the Ultra Broadbeach, Peppers Broadbeach and ULTIQA Air On Broadbeach? 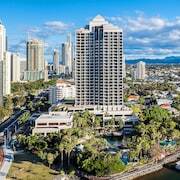 If you decide to go with less-expensive accommodation, Meriton Suites Broadbeach, Gold Coast is the place for you. It's in a great spot, just 0.3 kilometres away. Also, there's a nice range of upscale accommodations in the immediate area. 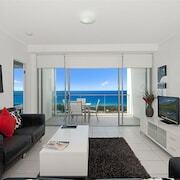 The Aria Apartments and the Carmel by the Sea, 0.5 kilometres and 0.7 kilometres away, are recommended. Max Brenner is the perfect spot to chill out with a coffee in the vicinity of The Star Gold Coast. 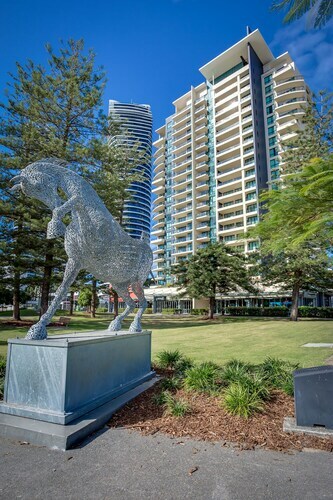 Easy to find at E111 & E112/3 Oracle Boulevard, Broadbeach, it's only 0.4 kilometres away. 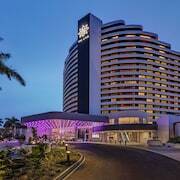 If you want something more substantial, order some food at The Star Gold Coast (formerly Jupiters Gold Coast) (Main Gaming Floor, The Star, 1 Casino Drive, Broadbeach). It's only 0.1 kilometres away. Dracula's Queensland is the place to go for theatre shows. Buy a ticket and find your seat! Make sure you don't use up all your savings at Pacific Fair Shopping Centre. 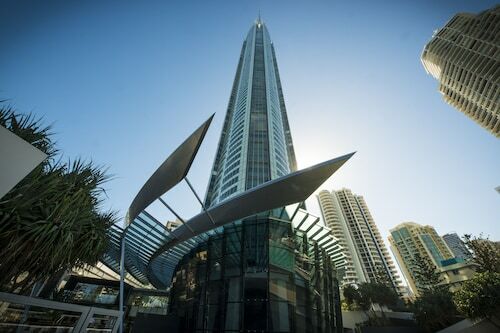 Visit Gold Coast Convention and Exhibition Centre, followed by a bite to eat at one of the bars or bistros nearby. Window-shop as long as you like at Oasis Shopping Centre. There's sure to be something that matches your taste. Roam around Oracle Boulevard and familiarise yourself with this buzzing area. 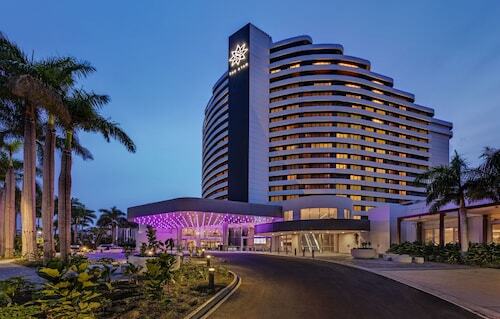 How Much is a Hotel Room in The Star Gold Coast? 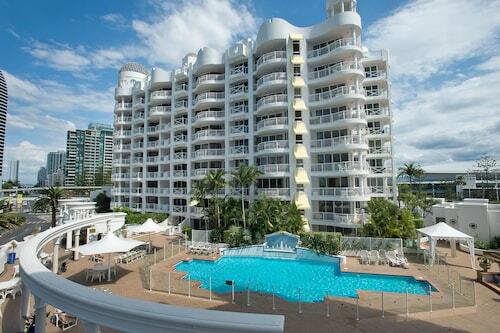 Hotels in The Star Gold Coast start at AU$82 per night. Prices and availability subject to change. Additional terms may apply.